If you follow us on Facebook and/or Twitter you’ll probably have seen some baking over the last 12 months that hasn’t made it onto the blog. Sometimes we spend so much time baking that it’s hard to find the time to blog about our creations, especially since we also work. 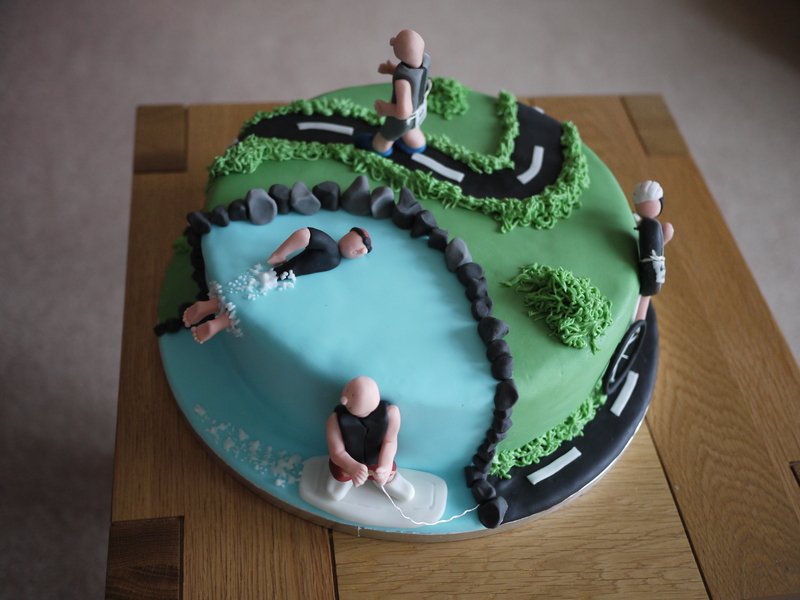 January – Becky was very excited to be asked to make a Triathlon cake for her friend’s husband, Gerry’s, 40th Birthday in the middle of January. She had lots of fun personalising the cake to make the figures look like Gerry! 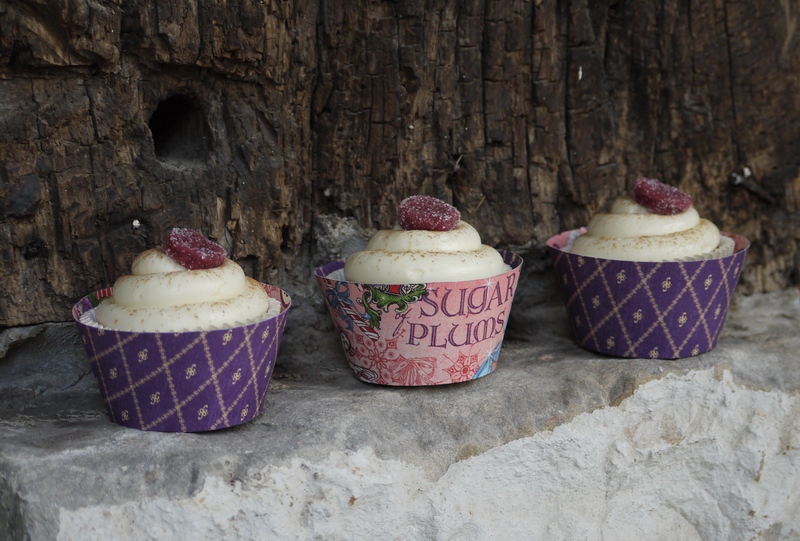 February – I don’t think I’ve ever made so many cakes in one month and most of them had to be made within the space of a week. 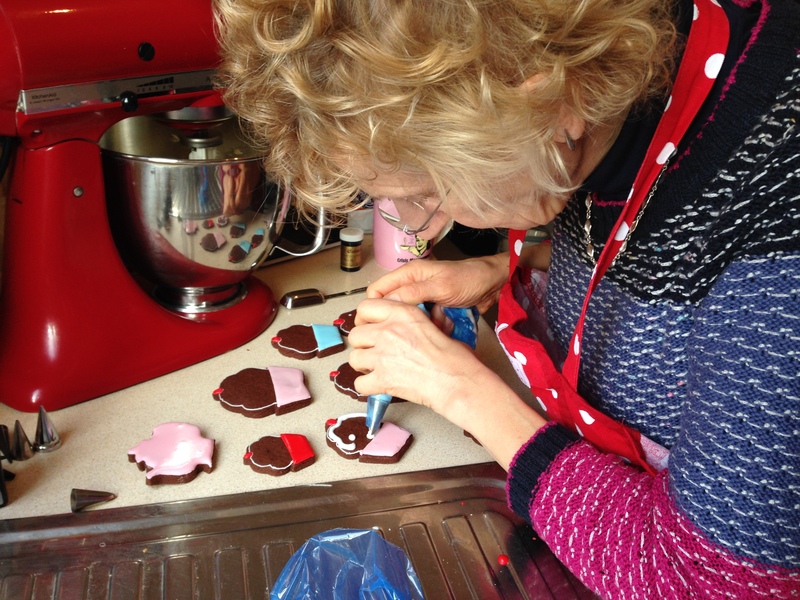 Some of the creations made it onto the blog, but Sooty never did. 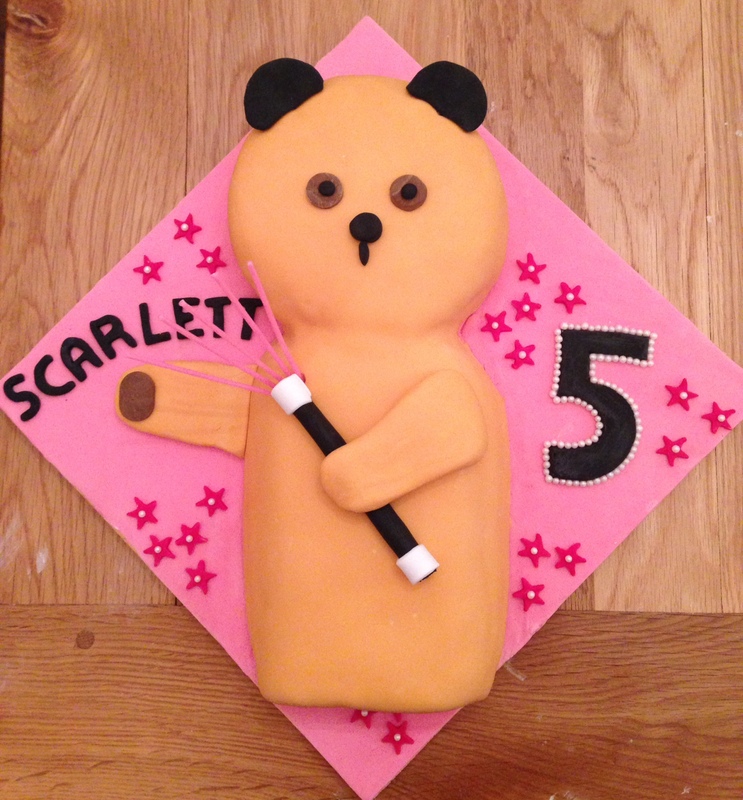 He was one of two cakes I made for a very lucky Scarlett for her 5th birthday – she also got a panda! April – Becky and I went back to mum and dad’s at Easter and created this chocolate simnel cake together. 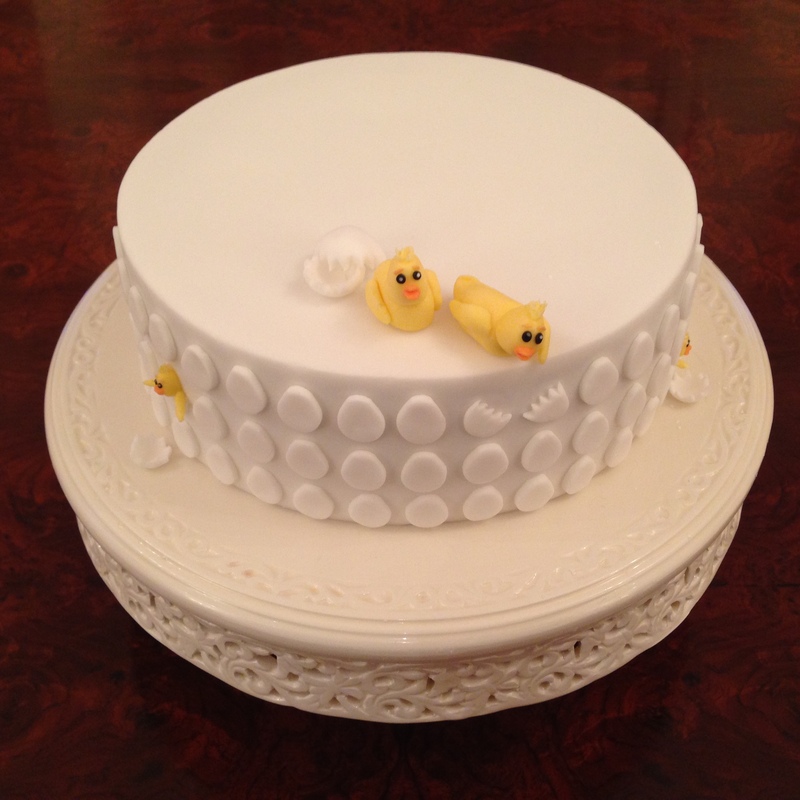 We’d seen a couple of ideas for decorating the cake but settled on these hatching chicks in the end – simple but effective. The cake was delicious and you can find the recipe here. May – Becky had been wanting to make this cake from The Contemporary Cake Decorating Bible since she got the book a few years ago. So when a friend from work asked for a cake for her 30th Birthday with a ‘Candy Land’ theme, she thought this was perfect. Cutting out all the geometric shapes to fit together was incredibly time consuming, but worth the effort. June – One Tom’s best friends from university, Martin, turned 30 in June. 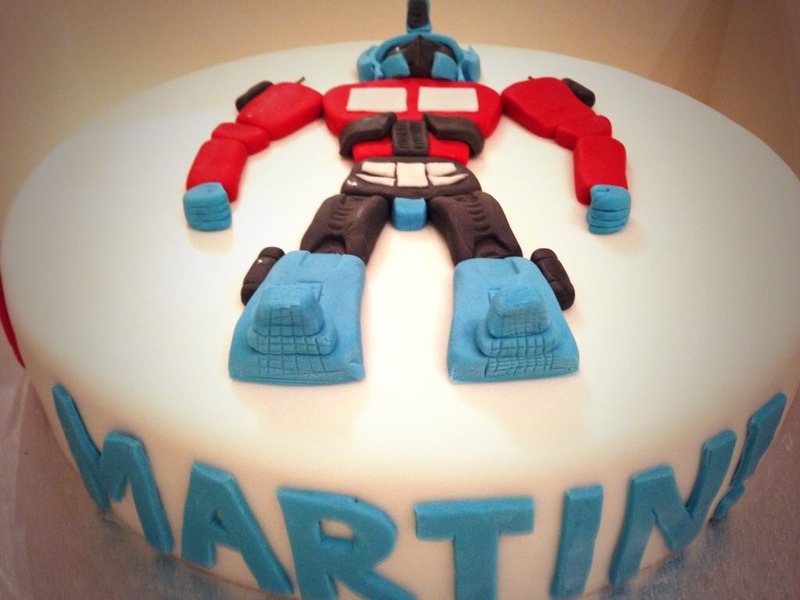 Sadly we couldn’t make his party but I was able to make his cake – his sister asked for an Optimus Prime cake. July – July was a busy month for wedding cakes. 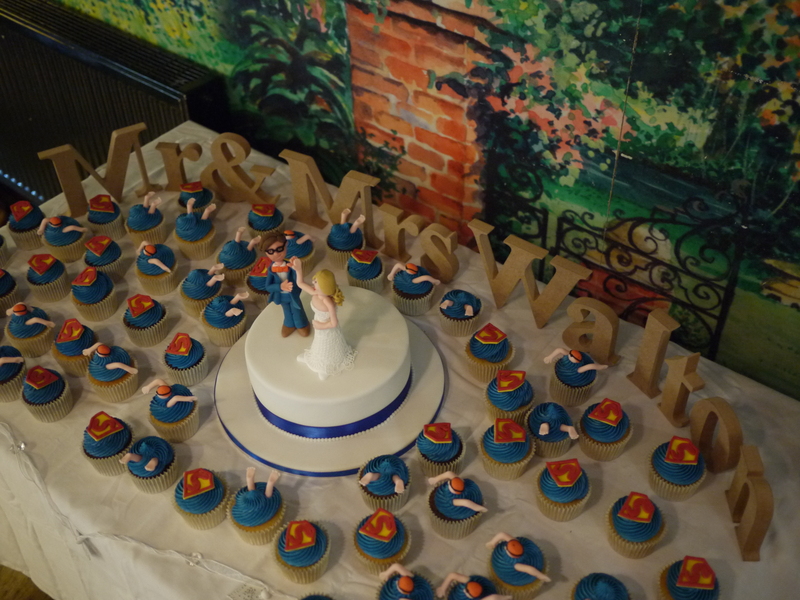 This fun design was for a friend Sarah from Becky’s swimming club, who wanted swimmer and Superman cupcakes surrounding a main cake with the bride and groom high-fiving! August – Becky and I got together for a few days to sort out doing the blog together and managed to fit in lots of blackberry picking followed by some baking. 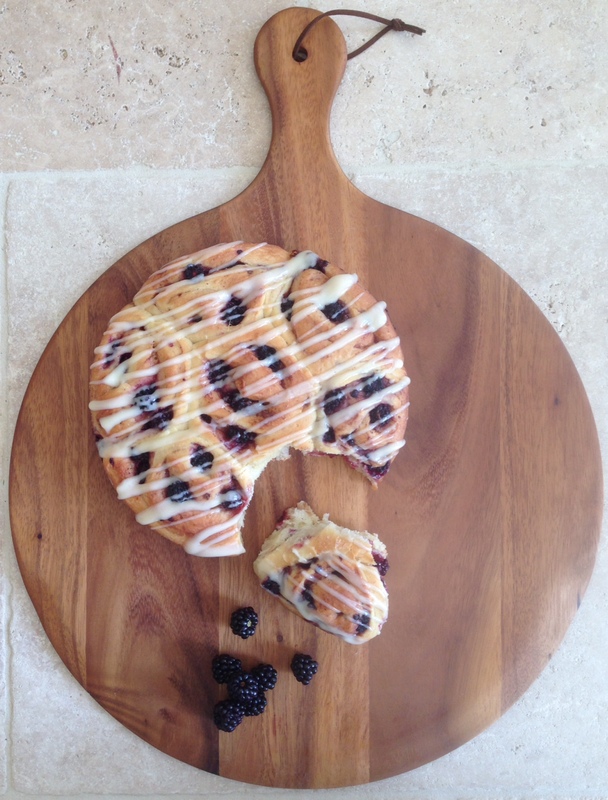 These blackberry swirl Chelsea buns were probably my favourite. The recipe can be found here, and could be easily adapted with different fillings. 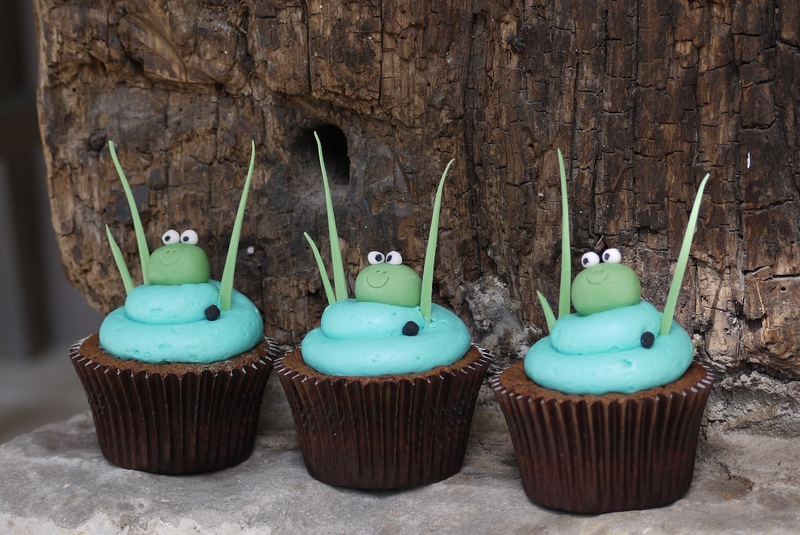 September – These little froggies are super cute and Becky couldn’t resist making them when her friend Susie and her boys came to visit, they went down well with the kids and the adults too! 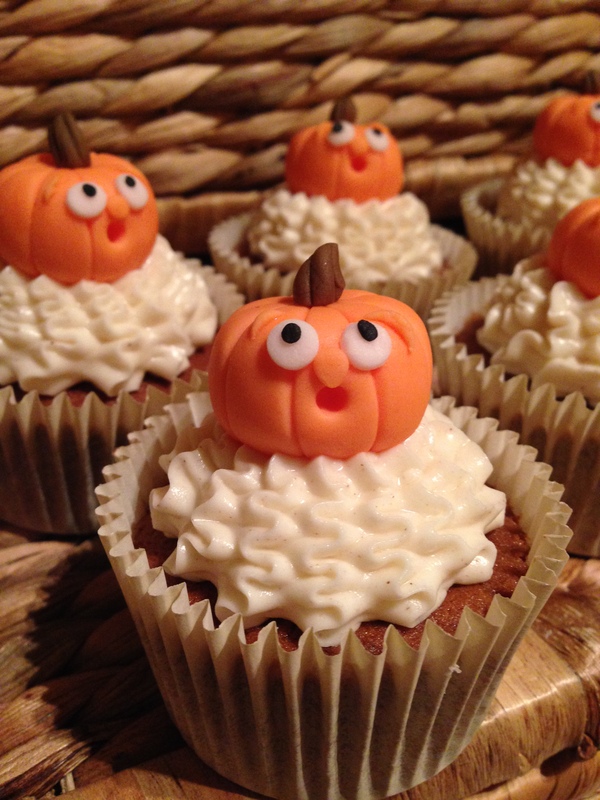 October – For Halloween I wanted to make some cupcakes for the office so I decided to make these pumpkin ones. They proved very popular in the office, especially the eyebrows! November – Becky had 2 requests for yellow and grey elephant cakes in November, one for a baby shower and one for her God daughter Ellie’s Christening. 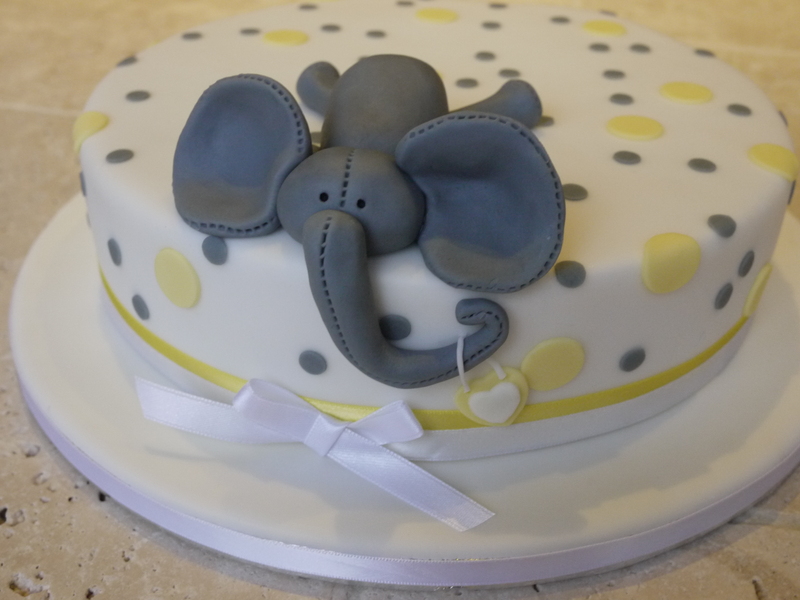 Both were different designs, the Christening cake will appear on the blog this year, so here is a pic of the baby shower cake, with a gorgeous grey elephant. 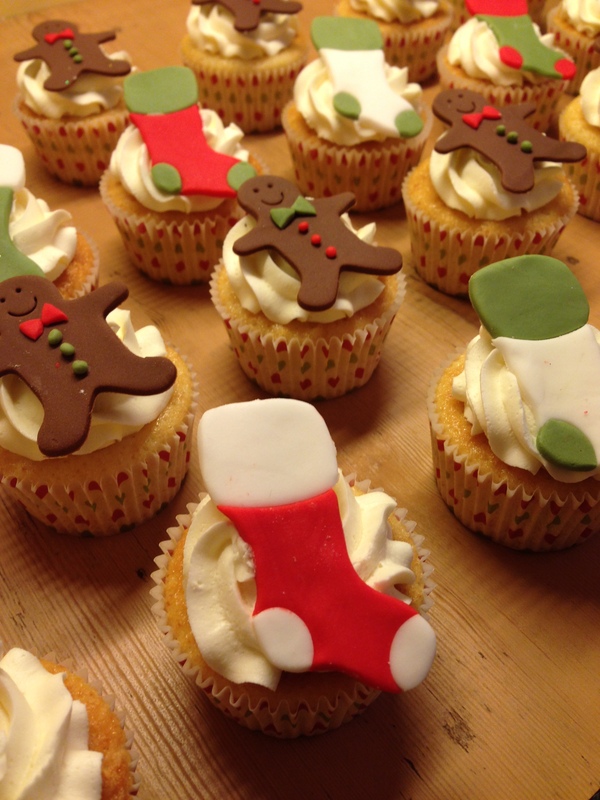 December – We managed to blog about quite a few of our Christmas creations but these cupcakes were the last thing I baked before Christmas. Tom was working nights over Christmas so I made these for him to take to work before I flew down to spend Christmas with Becky. 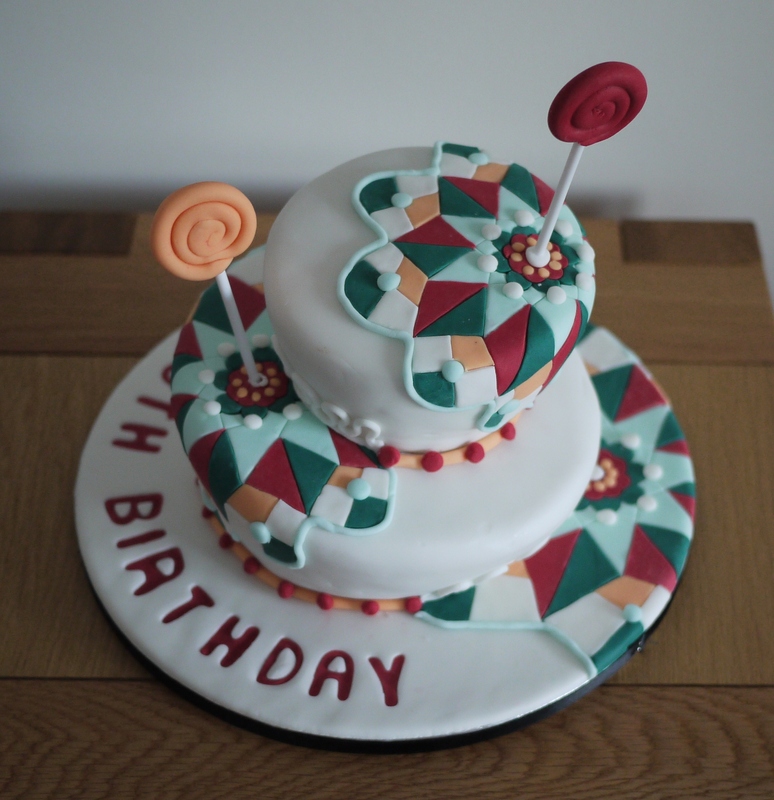 Hopefully 2015 will be as cake-filled as 2014 so we’ll have lots of creations to share with you over the next 12 months!